What a time to be a motorcycle rider. Why, you ask? Because motorcycles today are faster, safer, and more comfortable than ever before. Moan all you want about motorcycles becoming too smart for their own good, but it’s this very technology that allows us to be faster, safer, and more comfortable. Today no one will deny the motorized bicycle being superior than the horse and carriage, nor will they deny the advantages of electric starters over the kickers of yesteryear. But it’s really been the last five to ten years that we’ve seen a huge technological jump in motorcycling. Here are some notable advances seen on today’s motorcycles. It’s common knowledge racing is the proving ground for tech to eventually trickle down to the street bikes you and I can buy. The statement rings true yet again for winglets. 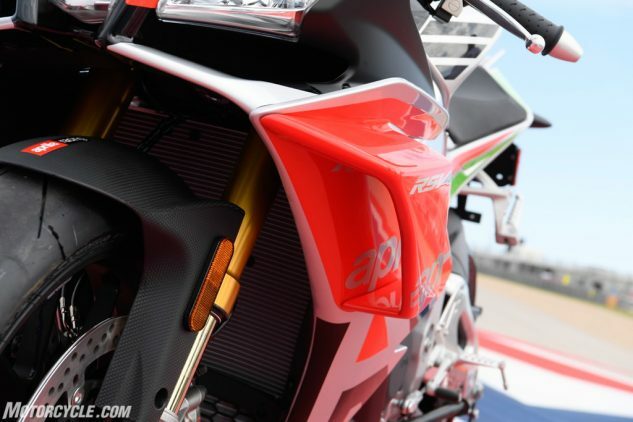 Seen on bikes like the Aprilia RSV4 RF LE, the RSV4 1100 Factory, Ducati Panigale V4 R, and even the MV Agusta Brutale Serie Oro, it hasn’t taken long for MotoGP aerodynamic tech to make its way into production. Their effectiveness for the street rider to keep their front wheel down may be doubtful, since real winglets are designed to function at very high speeds, but there’s no doubt winglets add street cred. 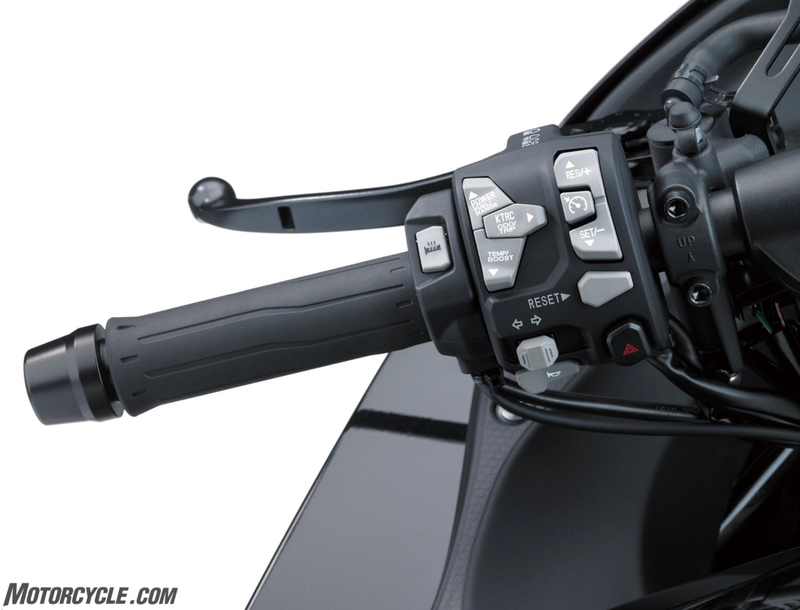 I’ve extolled the virtues of quickshifters quite often on these digital pages, and for good reason: they are a godsend, taking just a little bit of stress out of your ride. Obviously, quickshifters aren’t necessary (and in fact, none of the motorcycles I actually own are equipped with the tech…yet), but if you’re on a track missing a shift because you botched the clutch pull or didn’t release the throttle at just the right time could be the difference between winning and losing (which has happened to me). But QSs are also great for street riders, especially if you’re stuck in traffic and find yourself between gears. What’s more, quickshifters aren’t just reserved for premium motorcycles anymore; lots of bikes are coming from the factory with quickshifters, and those that aren’t can likely be fitted with an aftermarket system for relatively cheap. If you’ve ridden a heavy motorcycle, or had a passenger on the back, you understand the importance of hill-start assist. Imagine you’ve come to a stop on an incline. Inevitably you’ve gotta get rolling again, and when you do there’s a high likelihood you’re going to roll backwards a little before you get going. Some quick work between the rear brake, throttle, and clutch are needed to combat this and roll forward, but those moments can be stressful for even the most seasoned rider. Hill-start assist is available on some touring models, and though it’s called something slightly different depending on the manufacturer, its usefulness can’t be overstated. In essence, it holds the rear brake for you and/or increases revs slightly upon releasing the clutch, freeing up brain cells to properly move a heavy motorcycle uphill from a stop. 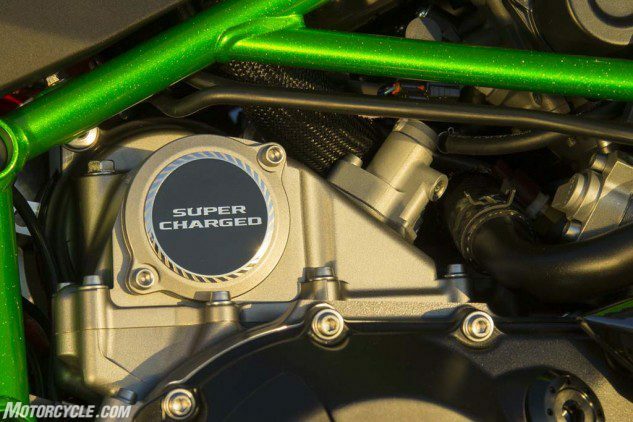 Adding a supercharger to a production motorcycle isn’t necessarily a huge tech innovation, as forced induction has been seen on motorcycles before (ah, the ’80s!). However, it’s common knowledge forced induction requires an intercooler to cool the incoming charge of air to prevent detonation and all the bad things that come with it. Kawasaki, however, refused to follow convention when it designed the H2 series of motorcycles without an intercooler. Kawasaki has said it designed the intercooler and the engine together with optimum thermal efficiency, and strengthened components to be able to contend with the charge of air without needing to cool it first. In the case of the H2 and H2R, compression ratios are also a low 8.3:1 to reduce the chance of detonation. With the touring-oriented H2 SX, Team Green made some major changes, including upping compression significantly – to 11.2:1 – still without the need for an intercooler. Oh, a standard 12-month warranty is also included. Kawasaki isn’t quick to give specific, granular details on how it’s able to produce a supercharged production engine with such high compression without an intercooler of some sort (and we still think one would be beneficial), but Kawi did it. That counts as a significant tech innovation in our book. These days, you probably carry a highly-advanced piece of technology right in your pocket. Yes, we might take our smartphone for granted, but not even Captain Kirk could have imagined the capabilities of today’s phones. 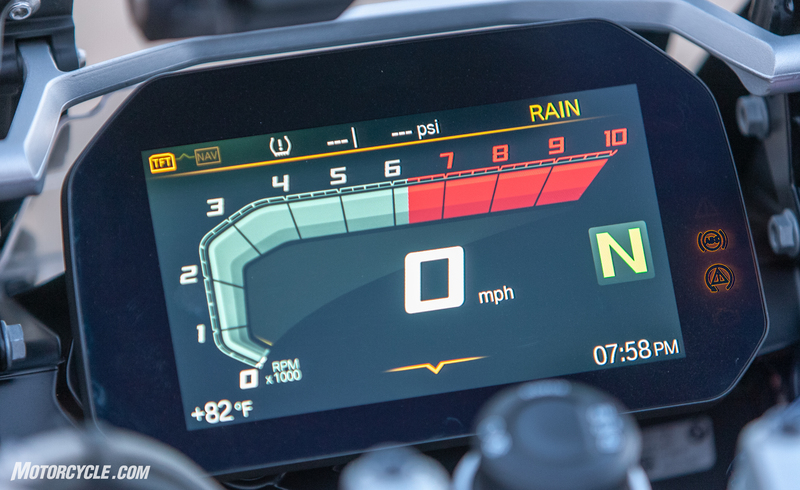 It was only a matter of time before crystal clear color resolution and touch-screen functionality made its way from phone to motorcycle instrument clusters, and some of today’s motorcycle screens are simply stunning to look at. Harley-Davidson, Indian, BMW, and Ducati are just a few of the OEMs with screens so clear and sharp you’re tempted to stop and watch a movie on them. Beyond their clarity, some offer touchscreen capability, Bluetooth connection, Apple Carplay, Android auto, and more. The holy grail for an internal combustion engine is to make lots of power across the entire rev range. But engine design is defined by compromises; if you want power up high that’ll cost you down low, and vice versa. 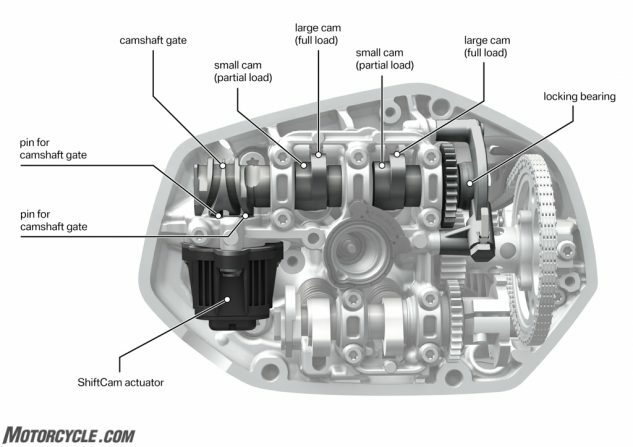 However, engineers being the crafty people they are, came up with a way to break the compromise: variable valve timing. 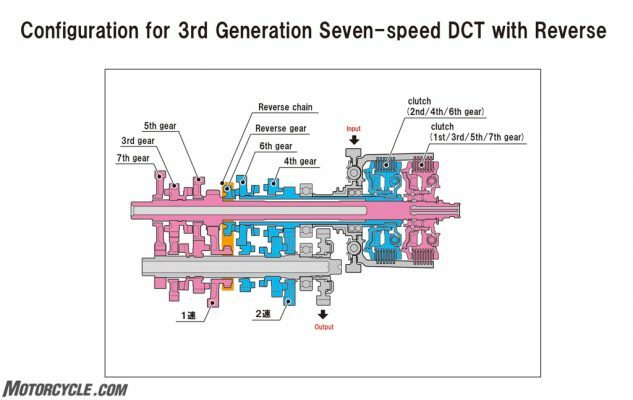 Essentially, altering the point at which the valves open and close to produce power everywhere compared to fixed valve timing. 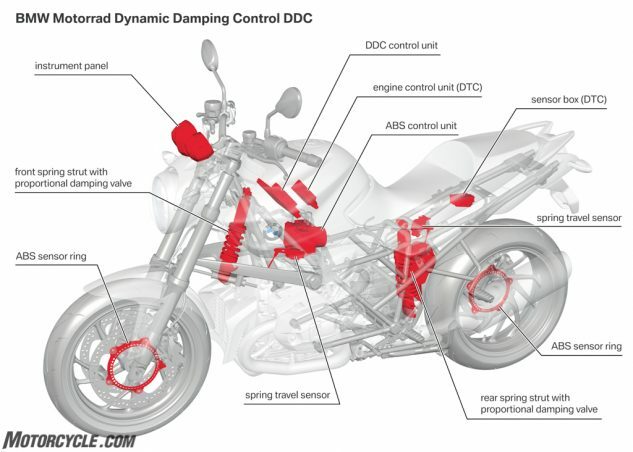 Of course, VVT is nothing new, having been around for a long time, but the challenge is building a light, compact, and relatively simple system for motorcycle use. 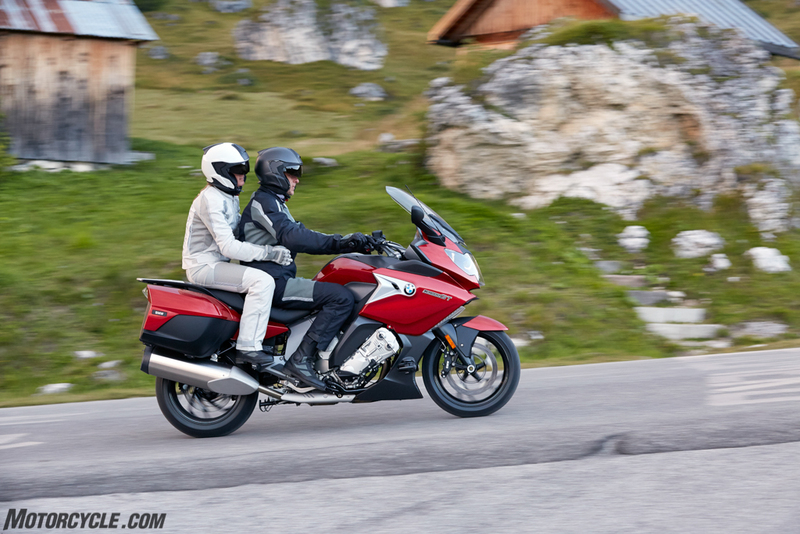 BMW, Suzuki, Ducati, Kawasaki, and Honda all offer some form of the technology on select models, and though the exact methods each employs is slightly different, the principle is the same and the end result – power – makes the ride more enjoyable. This one should be pretty self-explanatory – both in concept and in which of the MO editors picked it. Nonetheless, long-distance riders everywhere have to be thankful for cruise control, an innovation made simple to employ on today’s motorcycles thanks to many of them being ride-by-wire. In other words, a physical cable no longer controls the opening and closing of the throttle butterflies and a computer handles the heavy lifting when you twist your wrist. A benefit on nearly any motorcycle, it’s especially nice when riding an aggressive sportbike on the highway, as you can set the speed and give your hands and wrists a chance to get some blood flow back. Even the new Indian FTR1200 comes with it! Of course, if we’re to take a page from our car-driving friends, the next step is adaptive cruise control, which Ducati is promising in 2020 and KTM the following year. Phone apps are all the rage these days, right? Whether you’re swiping right or getting a ride home from somewhere, our phones and the apps we can download to them are extremely powerful tools. For example, one function of Aprilia’s APRC system is to use the smartphone app, in conjunction with the phone’s GPS, to determine the bike’s placement on the track and adjust traction control per specific corners. 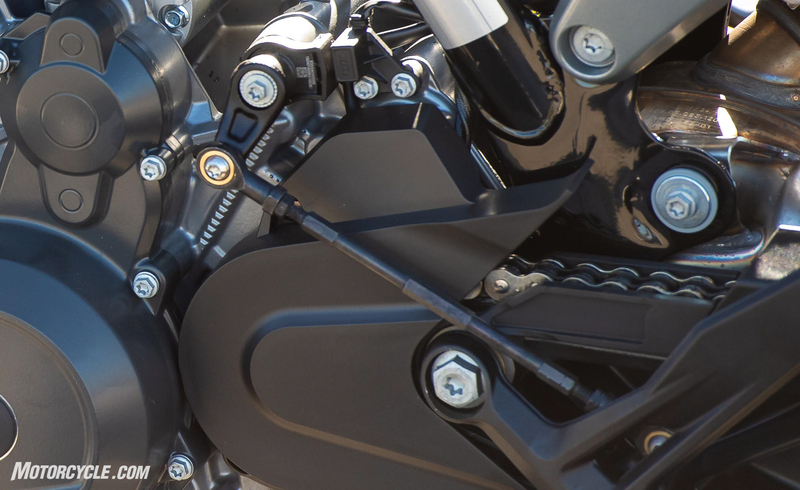 Zero Motorcycles allows the rider to adjust power output, regenerative braking levels, and check on the status of their motorcycle through an app. 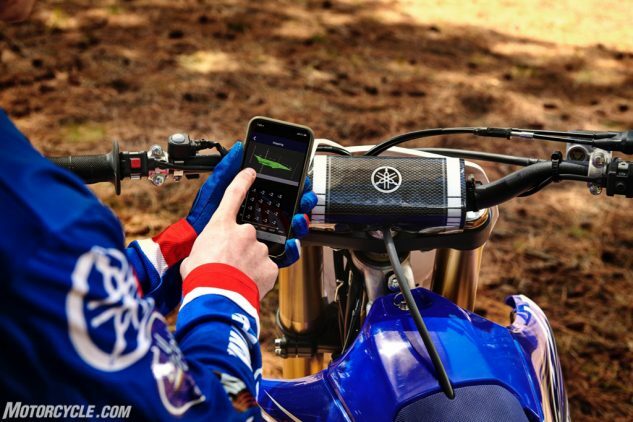 Yamaha, too, is in on the app game – its Y-TRAC app is essentially a data acquisition system for R1M riders, allowing them to see their inputs on the bike, as well as any intervention from rider aids, per lap. Yamaha has also extended the tech into its motocross line, with an app to make adjustments to the YZ450F. Riders are split on their feelings toward Honda’s Dual Clutch Transmission. Some love push-button shifting (or completely automated shifting), while others can’t live without their beloved clutch levers. No matter where you stand, the technology itself is fascinating in its relative simplicity. As the name suggests, the system employs two clutches – one for odd-number gears, the other for even – that shift at the push of a button for near instantaneous gear changes. The rider also has the option of letting the bike do all the shifting. Available on a growing number of Honda models, including the dirt-focused Africa Twin, we find it best suited for commuters like the NC750X or tourers like the Gold Wing. Much like an internal combustion engine, suspension is defined by compromises, too. A comfortable road ride usually means soft settings which are awful on the track or in the canyons. With the march of technology, it’s now possible to have the best of both worlds – to a point – with electronic suspension. 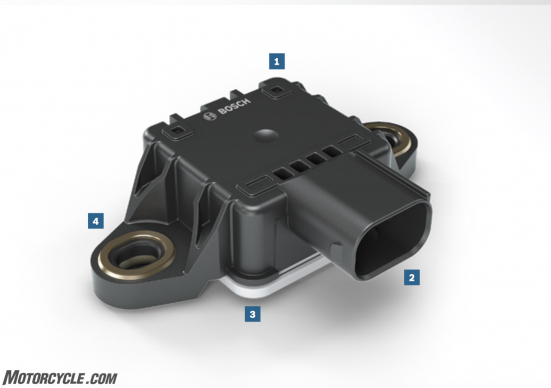 Various sensors talk to an ECU several times per second, which can then electronically adjust compression and rebound damping as you ride based on predetermined settings – softer for leisurely riding, fimer for more aggressive rides. Of course, the springs themselves can’t be adjusted electronically (at least not yet), so electronic suspension can only affect overall ride quality so much. Several sportbikes are available with e-suspension, as it offers a good compromise for the majority of sportbike buyers who usually need to ride the long, boring roads to get to the good stuff. The single greatest tech innovation of the last two decades has to be the Inertial Measurement Unit, or IMU for short. Able to monitor the motorcycle’s position via gyroscopes and accelerometers, IMUs – in conjunction with various other sensors – have enabled technology to make motorcycling both faster and safer. Rider aids like cornering ABS, predictive traction control (as opposed to reactive), slide control, wheelie control, and launch control would not be possible – or at least would be far less sophisticated – without the IMU. The best part? IMUs, and the systems we can pair with it, are still fairly new. 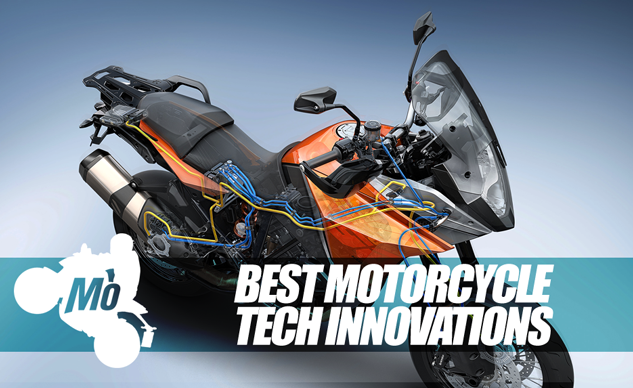 What this means is the future of tech innovations for motorcycles is only limited by the imagination. Ride on!